It is that time of year again, The London Coffee Festival is in full swing and yet again this year I have be chosen as one of the select artists to exhibit there for the finals of the Coffee Art Project Competition. 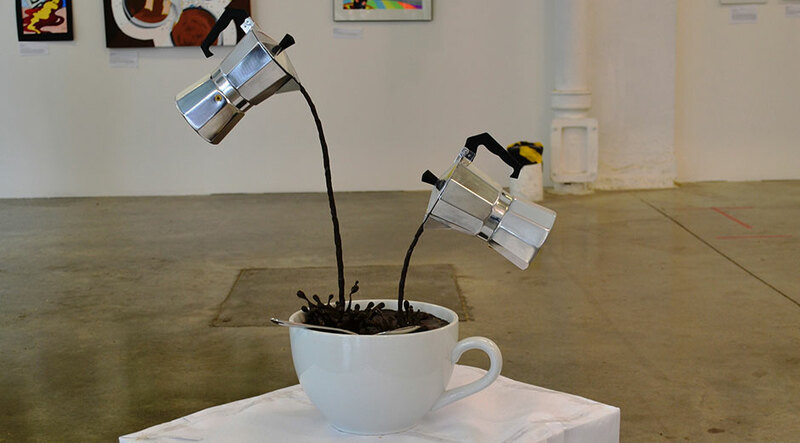 Last year as you may know i came first runner up with my sculpture ‘The Impossible Coffee’ which later was auctioned for charity at the Waterfall Ball event in London. This raised a much needed £1000 for project waterfall, who provide clean water for coffee growing countries such as Tanzania. Medium: Polycaprolactone, Epoxy clay, Porcelain, acrylic, gloss. 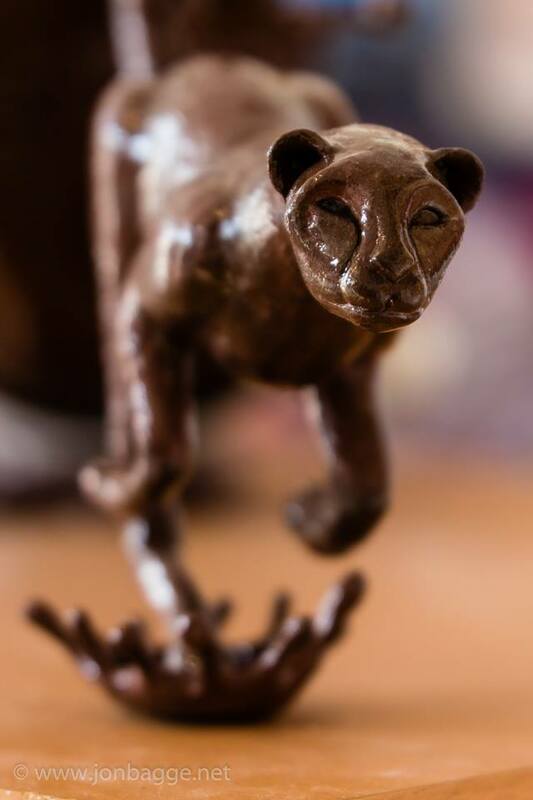 The Cheetah bursting forth from the cup in liquid form is a symbolic metaphor for the coffees origins. Coffee for me personally conjures images of energy, dynamism and speed. 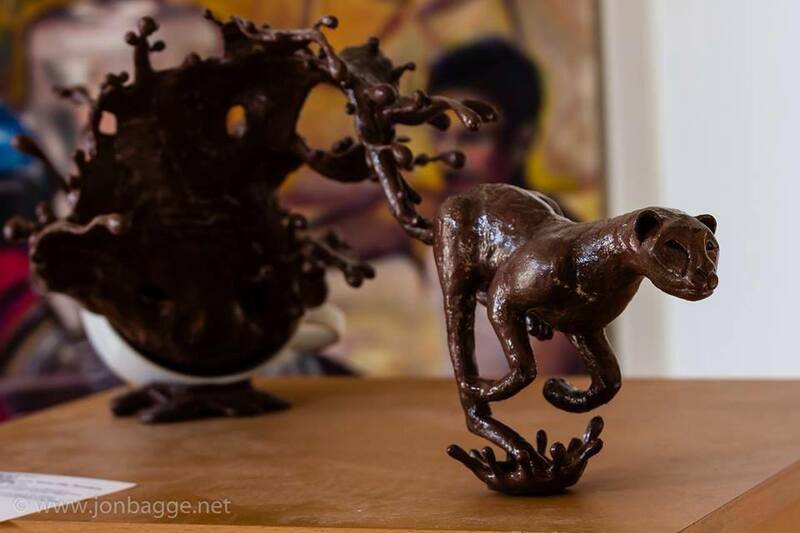 I sought to express these concepts by sculpting the captivating fleeting forms produced when liquid coffee is in motion. Capturing a frozen moment in time, to marvel at its organic fluidity. 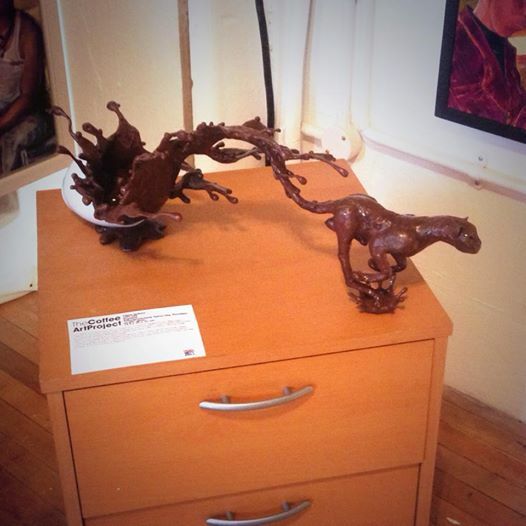 I then chose to amalgamate the fluid grace and speed of coffee in motion, with the form of the Cheetah. I chose the Cheetah not only for it being the fastest land animal on the planet, and synonymous with the notion of speed. But because it is native to Tanzania, The African coffee producing country, of which the coffee art project is this year focusing on supporting. The Artist night and the private view was a pleasure to attend, and I am looking forward to visiting the London coffee Festival this Sunday the 6th. 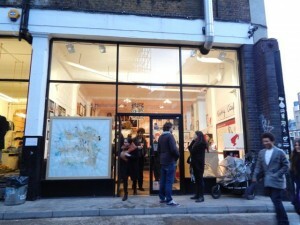 A massive thank you to everyone involved in the project (http://www.coffeeartproject.com/) and everyone who had supported me and given such kind words about my artworks. 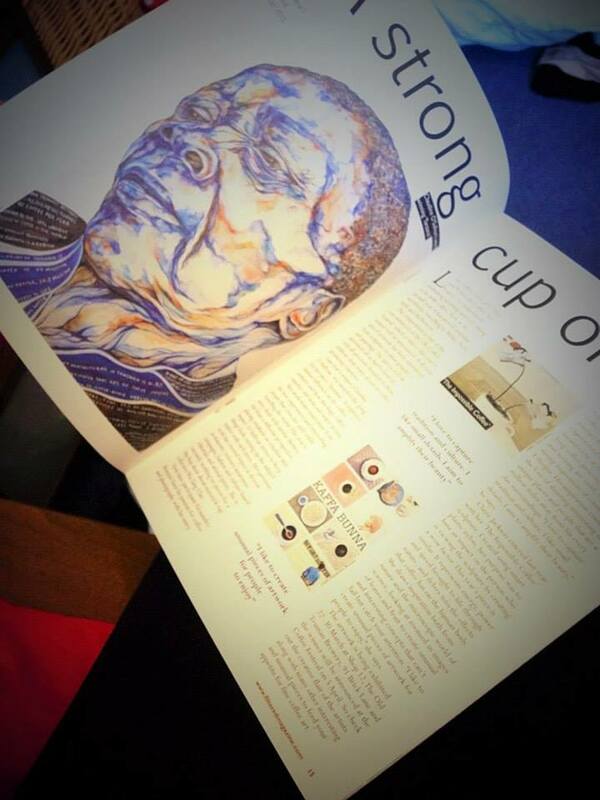 Please look out for my recent interview in the Vol 2 April addition of Filter(ed) Magazine about the coffee art project.